Intercontinental Hotels Group has opened a Staybridge Suites hotel near to Hartsfield–Jackson Atlanta International Airport. The seven-storey Staybridge Suites Atlanta Airport contains 149 studio, one bedroom and two bedroom/two bath suites. All suites include a flatscreen television, DVD/CD player, a work area separate from the living area, a speaker phone, personal voicemail and complimentary local phone calls, and a fully-equipped kitchen, complete with a full-size refrigerator with icemaker, microwave, stovetop and dishwasher. The hotel features free wifi and over 420 sqm of flexible meeting space, distributed across five meeting rooms that can seat up to 60 and an additional space on the lobby level that can accommodate up to 100. There is also a laundry room, gym, 24-hour business centre, library and a 24-hour convenience store. 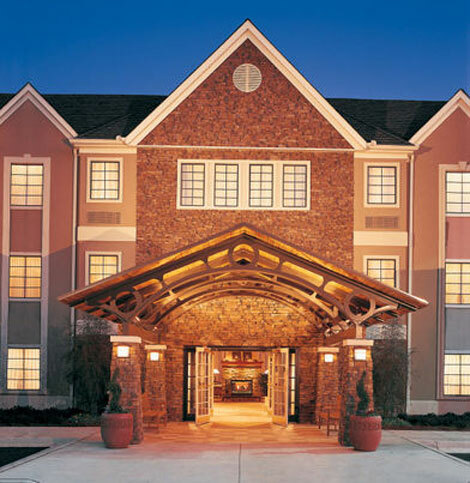 The opening brings the number of Staybridge Suites hotels in the Atlanta area to four, with a fifth property in the pipeline, and eight in Georgia. All Staybridge Suites hotels participate in the IHG Rewards Club loyalty programme. Last week, it was announced that IHG is opening its first Staybridge Suites hotels in Saudi Arabia (see news, November 26).